Being a traditionalist, I'm a rabid sucker for Christmas. 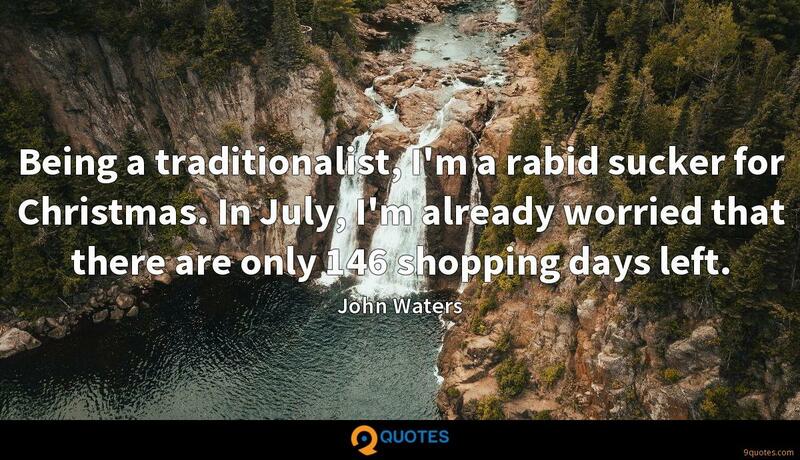 In July, I'm already worried that there are only 146 shopping days left. I've been arrested several times. 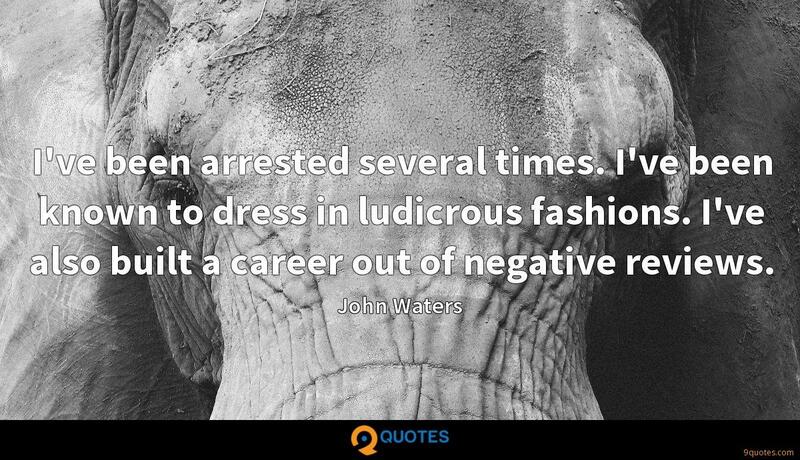 I've been known to dress in ludicrous fashions. I've also built a career out of negative reviews. 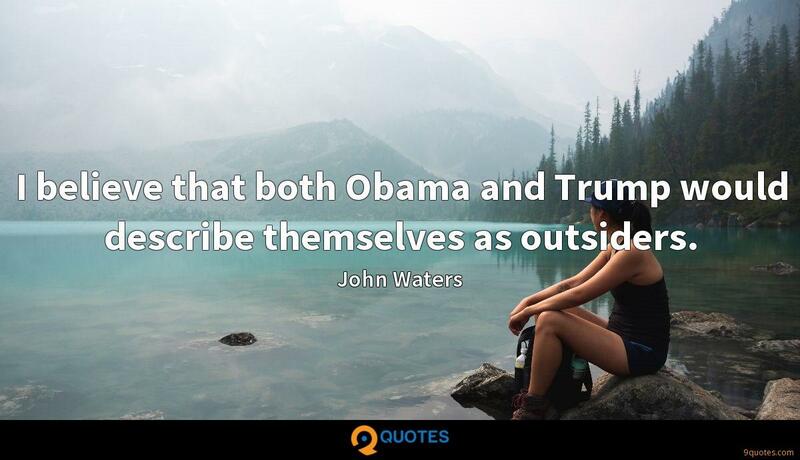 I believe that both Obama and Trump would describe themselves as outsiders. 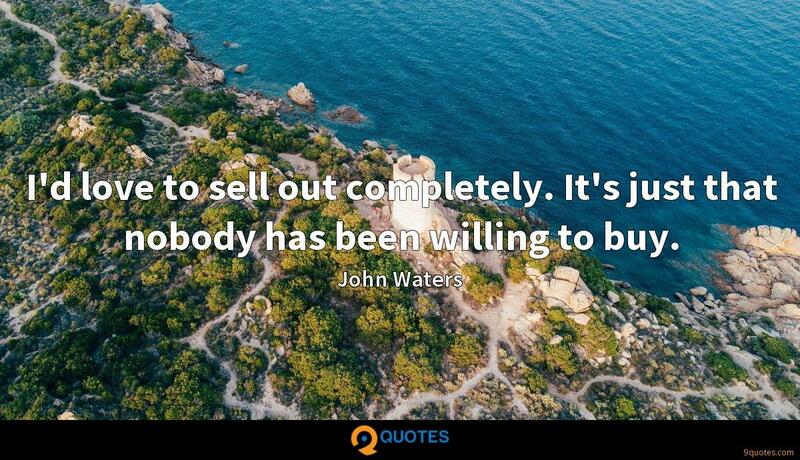 You have to think of a new way to make something new. And the biggest sin - you can never try too hard. You can never look like you're just trying to shock people, 'cause that's simple. But making people laugh is the hard part. I don't believe that we should never not talk to people we don't agree with politically. If you can make that person laugh, it's the first step to getting him to listen to change their mind. 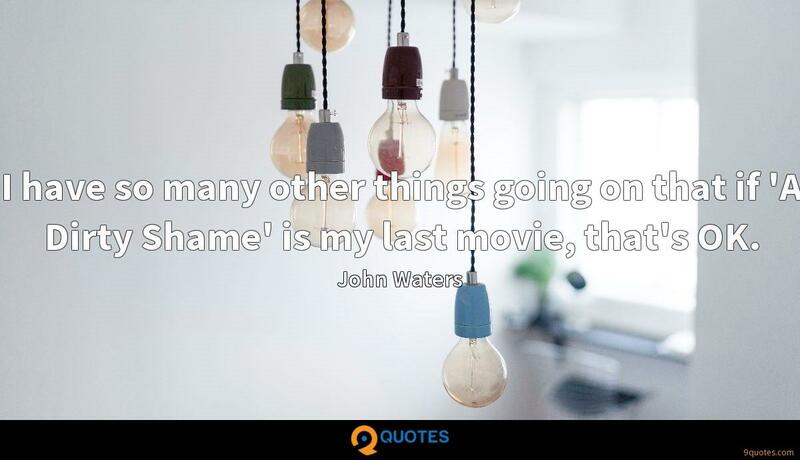 I have so many other things going on that if 'A Dirty Shame' is my last movie, that's OK. 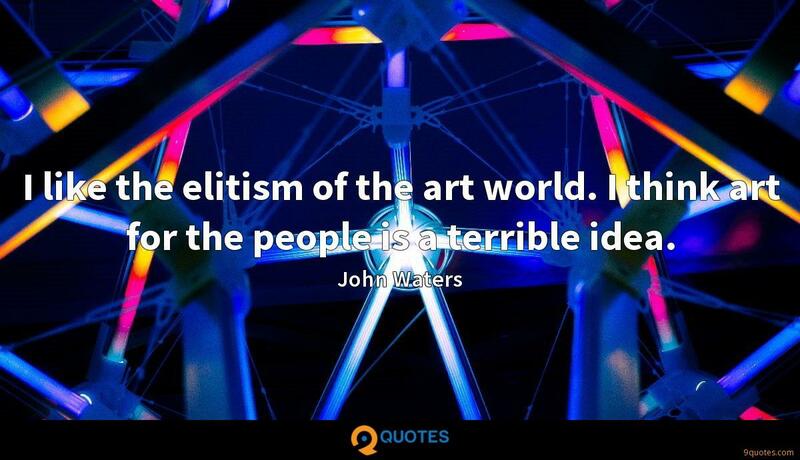 I like the elitism of the art world. I think art for the people is a terrible idea. 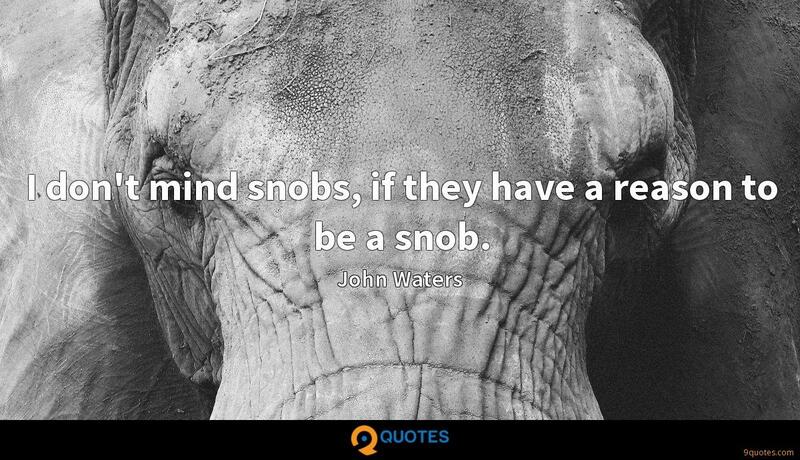 I don't mind snobs, if they have a reason to be a snob. A hair-hopper is someone who pretends they're rich, who really wasn't brought up very wealthy but now tries to brag that they're rich, and they spend too much time on their hair. 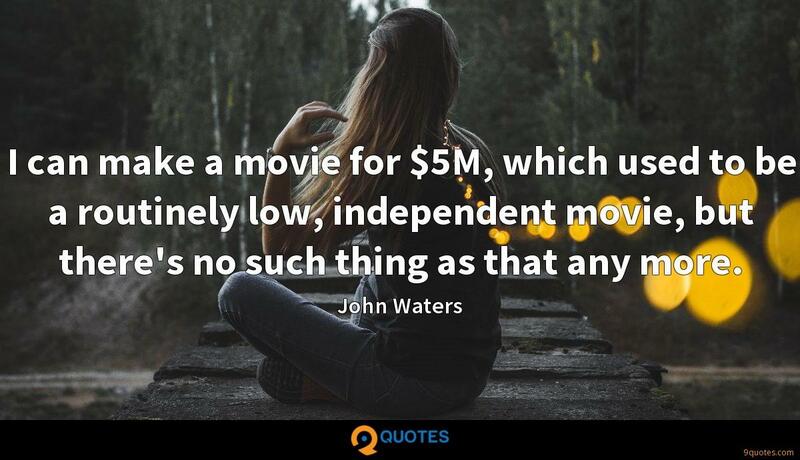 I can make a movie for $5M, which used to be a routinely low, independent movie, but there's no such thing as that any more. They all want you to make a movie for under a million dollars, which I don't want to. 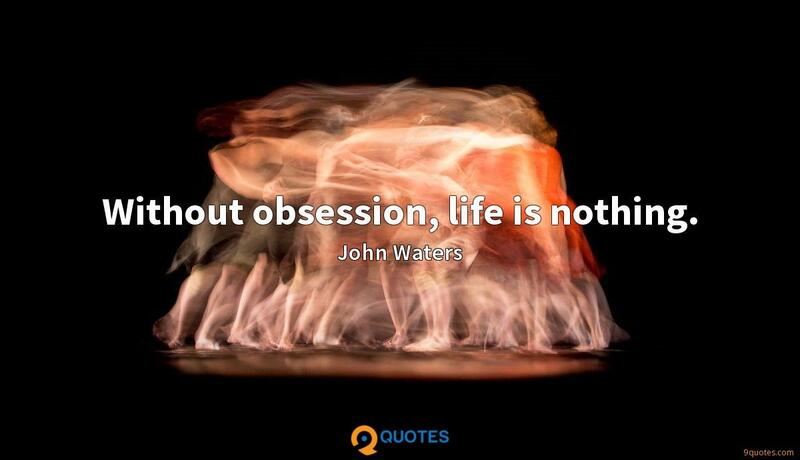 I don't want to be a faux radical film-maker at 70. I did that. I don't need to do it again. 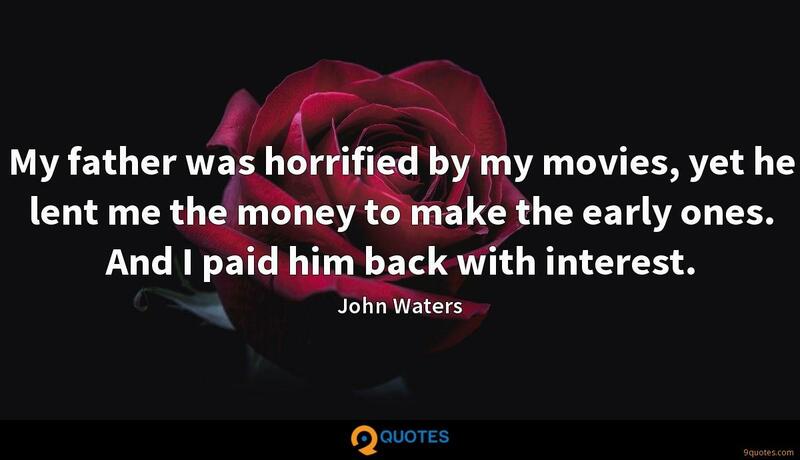 My father was horrified by my movies, yet he lent me the money to make the early ones. And I paid him back with interest. I used to hitchhike a lot. I'd come home on the train from New York, and there'd be no cabs, but people would pick me right up and take me to my door because they recognised me. It was like a car service. I never really had a bad experience hitchhiking. 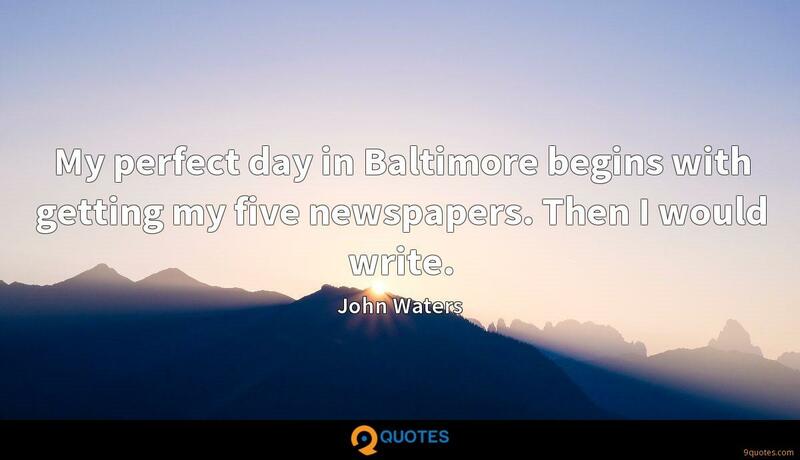 My perfect day in Baltimore begins with getting my five newspapers. 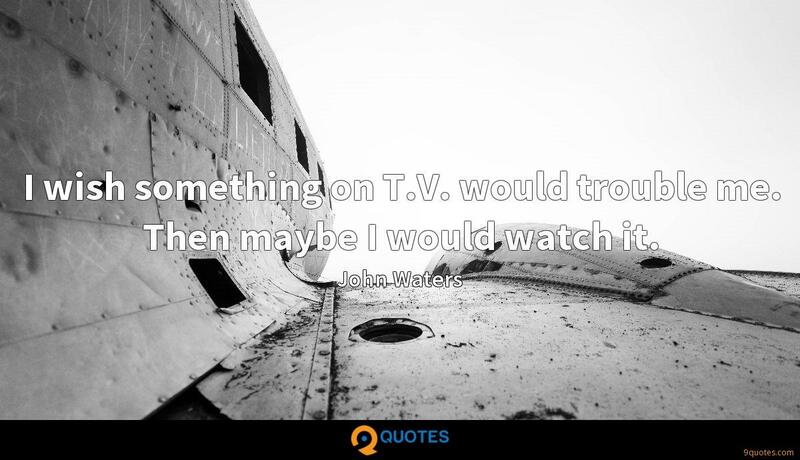 Then I would write. For a meal out, my number one restaurant is Peter's Inn. 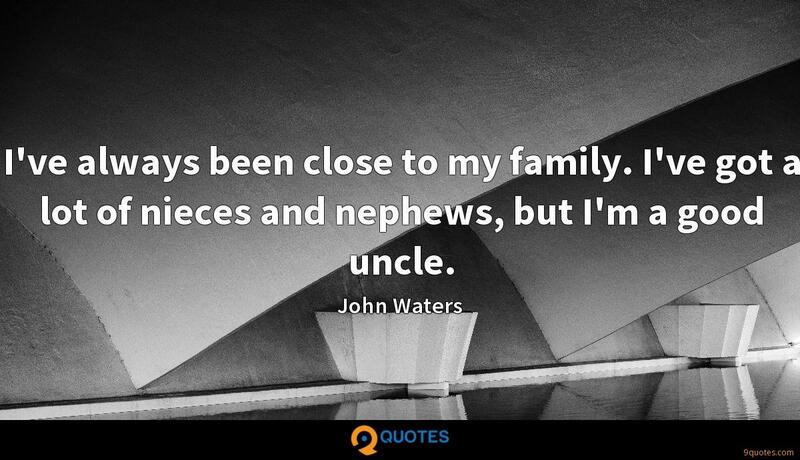 I first went there when it was an old biker bar. Believe me, when it was Motorcycle Pete's, that was fun. I had my 30th birthday there. The nightlife in Baltimore is very mixed. Any gay people I know go to the hipster bars; they don't go to the gay bars. Start your night at the Club Charles, and then you can meet people to go other places. The Charles has been Baltimore's favourite cool hipster bar forever. People looked at my early pictures and called them the most disgusting things ever, and now 'Hairspray' is being done at every school in Britain and America. 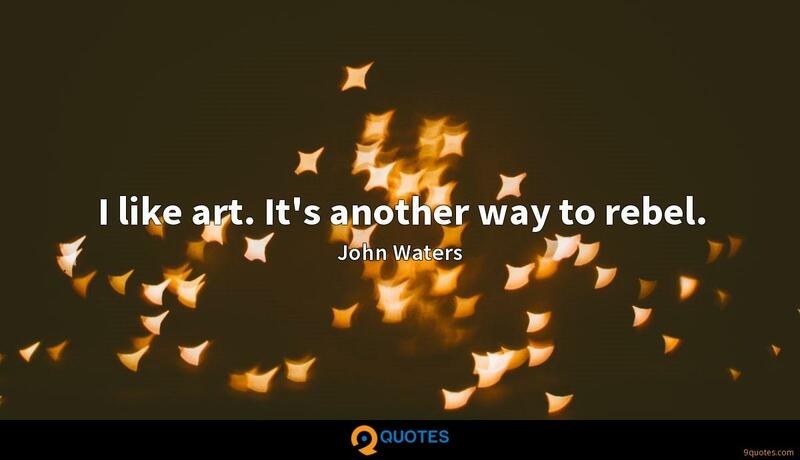 I like art. It's another way to rebel.